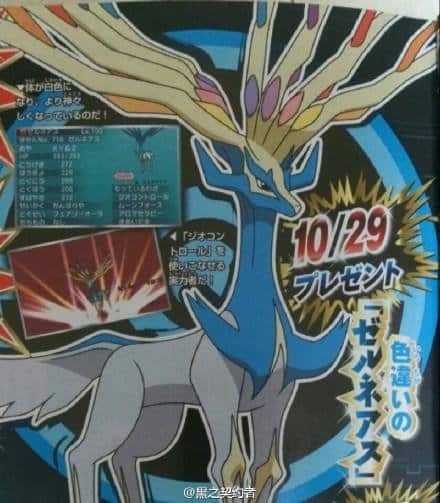 Japan’s CoroCoro Comic has landed with subscribers, revealing news that a Shiny Xerneas, Shiny Yveltal and Zygarde distribution event will coincide with the Pokémon XY&Z anime series airing in Japan. These events will run on a weekly basis, with serial codes to be shared within episodes of the Ash’s new adventure. That will start from Thursday 29th October, when a Level 100 Shiny Xerneas will become obtainable, which will know the moves Geomancy, Moonblast, Aromatherapy and Focus Blast. Then, a week later on Thursday 5th November, a Level 100 Shiny Yveltal will be distributed with the moves Oblivion Wing, Sucker Punch, Dark Pulse and Foul Play. 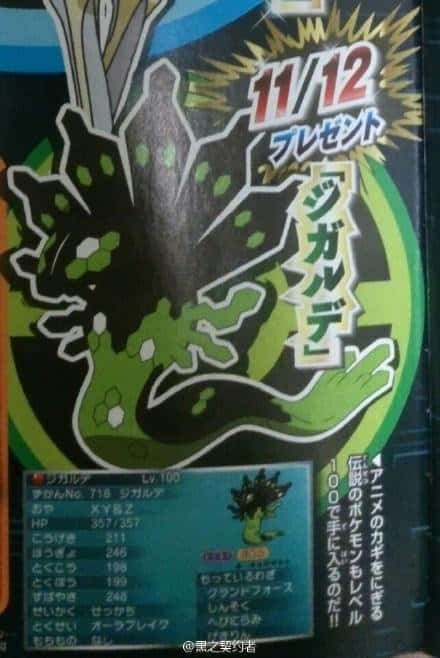 Whereas on Thursday 12th November a Level 100 Zygarde will close out the distribution events, which will know the moves Land’s Wrath, Extreme Speed, Glare and Outrage. As with Mythical Pokémon Hoopa, these will be available to Pokémon X, Pokémon Y, Pokémon Omega Ruby and Pokémon Alpha Sapphire players.